I saw this photo from my Facebook Newsfeeds. This photo was shared by TV Patrol for their weekend segment "Choose Philippines". I can't stop from sharing it to every Filipino. I admire the beauty of nature and it's spring falls. I admit, I don't watch TV because most of my time is on the net. Perhaps, I'm truly amazed when I saw it. 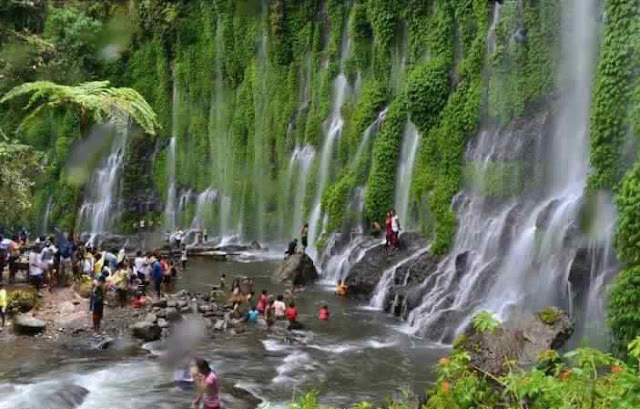 The place is Asik-asik falls located at Sitio Dulao, Upper Dado, Alamada, North Cotabato. There is no river on top, instead the water spring comes from the rock. The falls were unvisited because of the "Balete" tree in which they said as haunted until it fall down. I just hope and pray that it will stay as is, now, that it become as one of the main tourist attraction in North Cotabato. No to cut trees and plants on top.